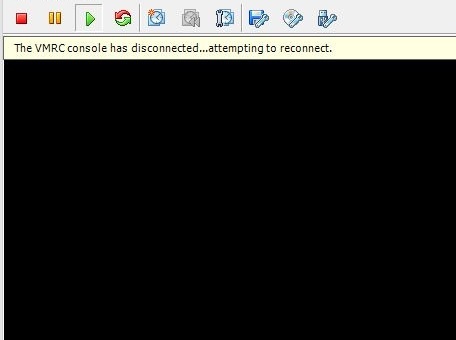 “The VMRC console has disconnected…attempting to reconnect” warning on my VMware esxi5.5 environment at work annoyed me no end for a few hours as I was baffling over what it meant. Restart the client machine, log back into the vsphere client and all should be well. If like me however you try to avoid shutting down because it gets in the way of working then simply close vsphere client, open Task Manager and stop “vmware-vmrc.exe“, “vmware-remotemks.exe“, and “vpxclient.exe” by right clicking each event in processes and selecting “stop“. log back into vsphere client and the system should be up and running again.